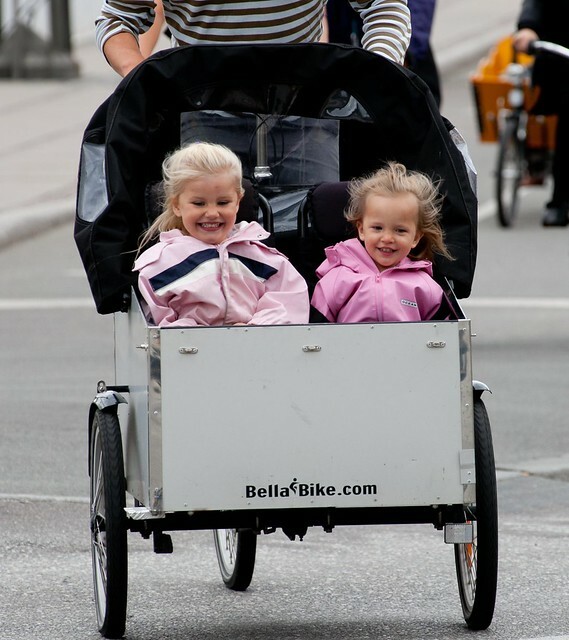 Riding a bike is not only healthy, green & chic. More than all this cycling is simply fun. Its the perfect anti-dote to urban stress and Monday morning depressions. 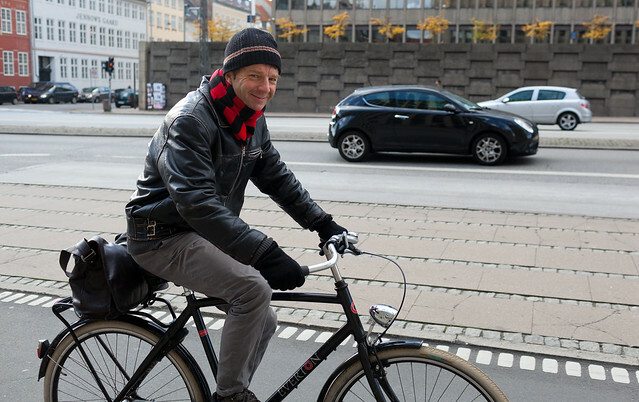 Does cycling help make Danes the happiest people in the world? I'll leave that for scientists to calculate. However, its a fact that it fills me with energy as soon I roll off to work. And that I can actually feel how my stress level drops in the evening when I mount my bike and plunge into traffic. 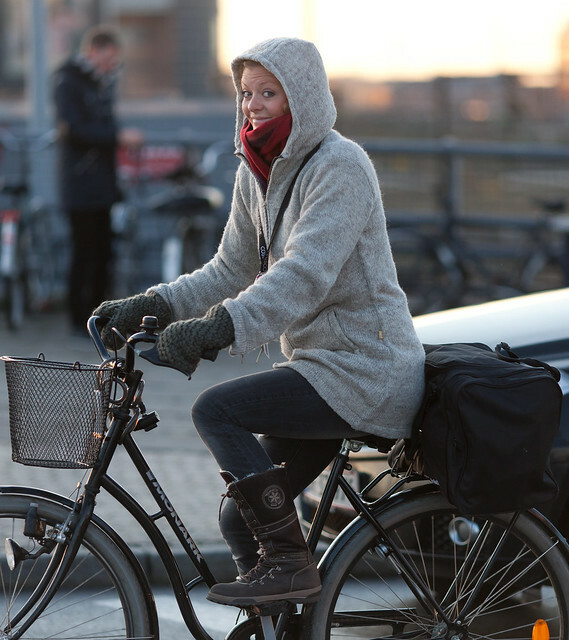 One of the reasons biking is such a stress-free way to commute is that it is tremendously predictable. You know down to the minute how long it will take. No amount of congestion, red lights or road repairs will change the 16 minutes it takes for me to traverse Copenhagen City from my apartment to the Ministry. And - as your therapist will tell you - being in control is one of the most important factors in reducing stress. Now who believes that riding the back seat of car can beat the joy and fun of a daily roller-coaster ride with dad? 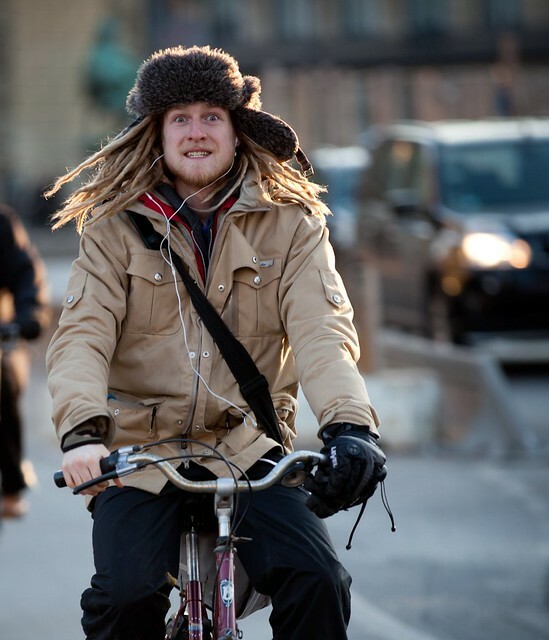 Of course the risk is that if you bike too much, you may end all spruced up and funky. Still, it beats ruining your day with a spate of road rage. nice. the last one is funny. "the perfect antidote"...love the smiles. Giro, last one is funny. I really want one of those buggy things for my kids! that looks like a blast (and way better than seeing my back in a bike seat for kids! ).